Invisalign® is the popular alternative to traditional braces, helping patients get the straight teeth they want without the need for brackets and wires. As a leading dentist in Montville, NJ, Dr. Matthew Spatzer offers the state-of-the-art Invisalign® system for teens and adults at Montville Dental Associates. "It's always a great experience at Montville Dental." "I love Montville Dental Associates." Invisalign® is an orthodontic system that relies on a series of clear, plastic trays (or aligners) designed to fit securely over the teeth and to gently move them into alignment over time. Because they’re nearly invisible while being worn, they’ve become a very popular alternative to traditional metal braces and similar options. How does Invisalign® compare to traditional braces? Invisalign® aligners are made of clear, smooth plastic, so they’re virtually invisible while they’re being worn, and there are no sharp edges or components to irritate soft tissues. Invisalign® aligners can be removed while eating so there are no dietary restrictions, and they can be removed for brushing and flossing teeth as well, so it’s easier to keep teeth and gums healthy during treatment. Since Invisalign® aligners are custom-fit for each person, treatment can often be completed in considerably less time compared to traditional braces. Treatment begins with impressions that are sent to the lab where the aligners will be made. The impressions are scanned into a computer that uses computer-aided design and manufacturing (CAD/CAM) software to create a series of detailed 3D images depicting how the teeth will need to move over time to become properly aligned. Those images are used to fabricate the series of aligners using durable, medical-grade plastic. During treatment, each aligner will be worn for about two to three weeks, then exchanged for the next aligner in the series. Office visits about every six weeks will help ensure treatment remains on track. Most patients can complete treatment in 18 months or less. Aligners are easy to care for too – just brush and rinse to keep them fresh. Can Invisalign® be used to treat all sorts of alignment issues? Invisalign® can be very useful in addressing many types of alignment issues, but it’s not the ideal choice for every need. The initial evaluation will determine if Invisalign® is a good choice or if another option would be more effective and appropriate. We accept many insurance plans from several insurance providers. Please call our office if you have any questions, and check out who we participate in-netwok ! 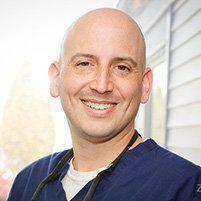 "It was the best dental experience I have had in many years. So happy a friend recommended Montville Dental Associates." "Everyone is very friendly and very accommodating with my changing schedule. Most importantly, the teeth cleaning is pain free." "A visit to this practice is a complete joy, from the greeting from the receptionist, the dental hygienist and continuing to the dentist."